The architecture firm of Machado and Silvetti – team leader for the Menokin Project – came in fourth place with this submission for the 2016 Olympic Port. They are always Gold with us. See more at Arch Daily. Machado and Silvetti Associates shared with us their entry for the Olympic Port Competition that came in fourth place. 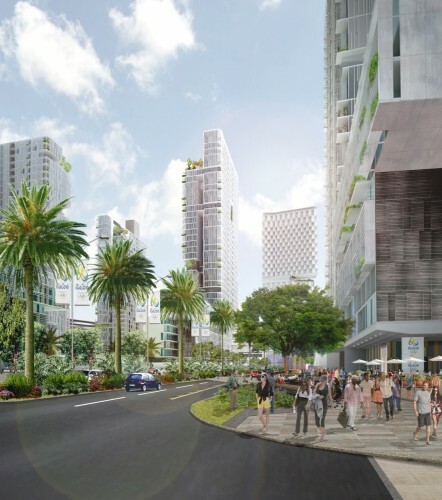 This project proposal for the 2016 Olympic Media Village in Rio de Janeiro includes housing for 11,000 people, retail and office space, a 5-star hotel and a convention center. To accommodate post-Olympic marketing of the buildings the entire residential and office program has the capacity to be transformed from a hotel setting with individually accessed bedrooms and private baths to two- and three-bedroom apartments and leasable tenant space.